The Galah Cockatoo is found in most parts of Australia. 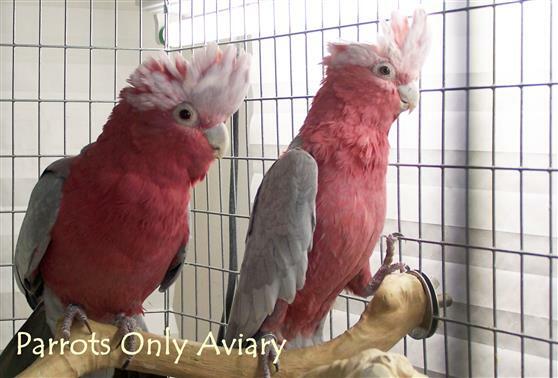 Galah Cockatoos have rose colored feathers on the breast and the underside of the wings, a pink head and chest, with their crest being a lighter pink. They have a grey back, wings and tail, their flight feathers are a darker grey and they have a flash of pink of the underside of each wing. Loves to climb and play. Provide lots of toys. Approximately 40-50 years, depending on nutrition and care.